Receiving a Traffic ticket in Connecticut at first may seem as if it is just another small bump in the road. Often we just don’t have the time to deal with a traffic violation. It can be very tempting to just plead guilty, mail it in or do an online payment and make the problem go away. However, a guilty plea to a traffic infraction can effect your driving history and insurance rates for years to come and some offenses carry mandatory license suspensions. 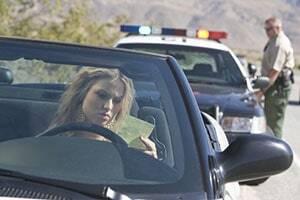 Before you plead guilty to any ticket you should speak with an experienced Norwalk traffic ticket defense lawyer. Some of the tickets you receive on the road are actually misdemeanor criminal offenses (such as reckless driving or operation under suspension) which will result in license suspensions and also leave you with a permanent criminal record. Obviously the stakes are a lot higher for anyone who drives for a living (such as a delivery person or uber driver) or those who hold commercial driver’s licenses. If you have been involved in an automobile accident and received a ticket you should always plead not guilty. There are many defense tactics available to fighting your traffic ticket or criminal motor vehicle summons you should speak with a Norwalk traffic ticket attorney. If you have received a traffic ticket of any kind then give us a call to review your options to defend the ticket and keep your insurance rates from going up at 203.515.4110. Contact us today for a free initial consultation. Our rates are surprisingly reasonable. Everyone knows that the issuance of traffic tickets is a cash cow for the State. The Police set up speed traps and now they are also setting up traps to target cell phone and seat belt violations as well. In these kind of targeted enforcement traps they can issue dozens of tickets per hour. Sadly the overwhelming majority of motorists simply mail in the tickets and plead guilty never realizing that there are effective ways to fight these charges, have the charges dismissed or reduced to non-moving violations that do not effect your insurance rates. The tremendous source of revenue from these speed traps is what motivates the Police to keep going out and setting up these speed traps. If you have received a ticket always speak to an experienced Norwalk traffic violations lawyer before you mail in that ticket. Police use motor vehicle enforcement as a method to fish for bigger criminal activity. Whenever a Police officer pulls you over for a traffic infraction they are going to run you through the system to check to see if there are any active warrants for your arrest and they will also look for any signs of intoxication or illegal drugs. In many cases if you act politely, respectfully and professionally they may let you off with a warning. Whatever you do you do not want to be rude or obnoxious as the Police officer will make a notation of your attitude on the back of the ticket which the State’s Attorney will get to see if you take your case to Court. If you were pleasant and cooperative with the Police officer this can really make your Norwalk traffic ticket defense lawyer’s job a lot easier when working to get a favorable resolution of your ticket. Never get into an argument with a Police officer when you are being stopped for a traffic ticket or speak in an argumentative tone of voice. Very often as the Police officer is handing you a ticket they will inform you that you can “just mail in the ticket or pay the fine on line.” That is some really bad advice. Always plead NOT GUILTY and request a hearing in Court. If you read closely on the back of a traffic ticket is mentions that if you mail it in pleading guilty they will not assess any “points” but this information is very misleading. Most importantly every time you plead guilty to a traffic ticket it becomes part of your permanent driving record and will effect your insurance rates. At the end of every year your auto liability insurance carrier will pull a driving history and your rates will increase if you start to pick up convictions for traffic tickets. The rate increases will last for several years. This rate increase will multiply even higher if you have had an accident in the past three years. Also anyone who picks up 3 moving violations can be placed on a probationary status and forced to participate in a driver’s education retraining program. The best approach is to work with a Norwalk traffic ticket defense lawyer to try and have every traffic ticket either dismissed or reduced to a non-moving infraction that does not effect your driving record. You should never mail in a ticket and plead guilty. The best plan is to hire a Norwalk traffic ticket and motor vehicle violations lawyer to try and have your ticket dismissed. Contact a Norwalk Traffic Defense Attorney Today! If you have received a ticket for speeding , operation under suspension, evading responsibility, reckless driving, or another motor vehicle violation in Greenwich, Stamford, Norwalk, Darien, New Canaan, Cos Cob, Fairfield, Westport, Wilton, Weston, Bridgeport and throughout the County of Fairfield do not hesitate to contact the Law Offices of Allan F. Friedman. We work on a flat fee basis and our rates are very reasonable. Call Attorney Friedman at 203.515.4110 to schedule your free initial consultation and case evaluation – we are available 24/7 - 365 days a year. Or you can contact them online for a prompt response.